Halloween is upon us, the leaves are falling from the trees and the nights are growing colder and darker by the day. You can often feel a little overwhelmed with what to make when it comes to designing your pumpkins. 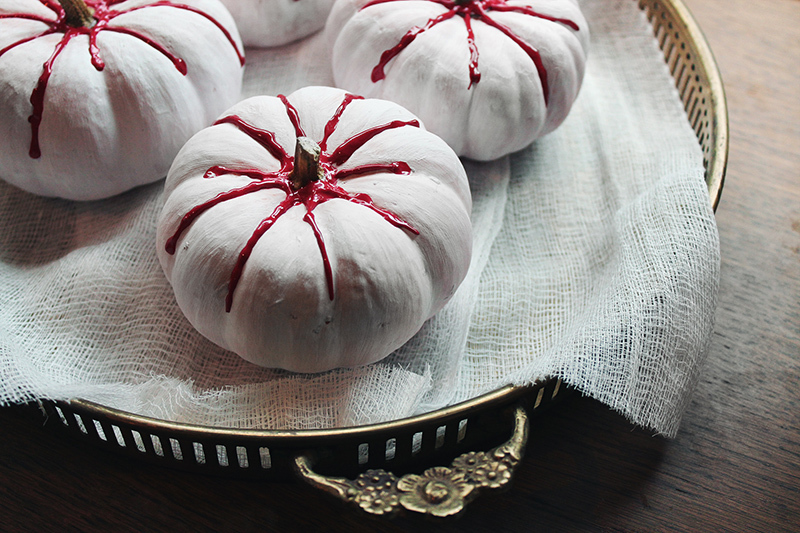 We're here to show you that you can make a stylish pumpkin with no knives. With just a lick of paint and a dusting of creativity, you can make a pumpkin that'll go down a treat on Instagram. If you are using real pumpkins, don't forget to preserve your pumpkins before pairing for a longer shelf-life. Find out how here. 1. 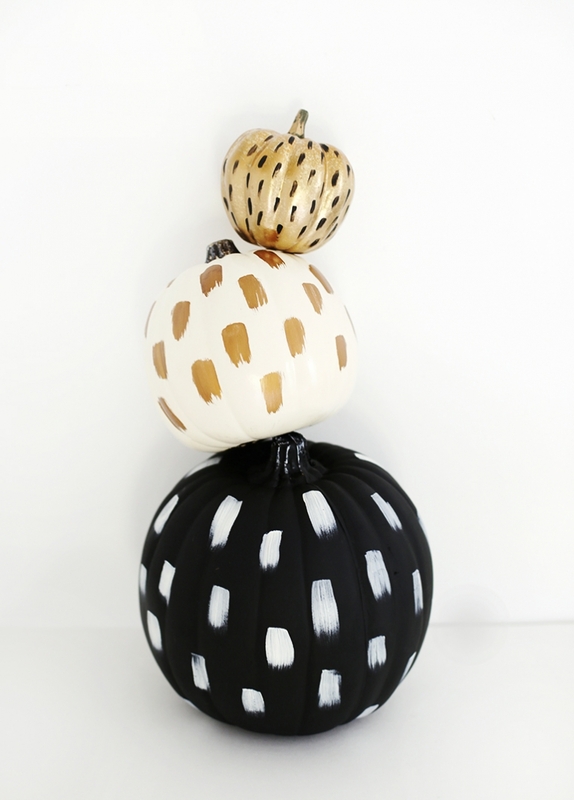 Paint your pumpkin white and embellish it with a polka dot sequin design. Cute! 2. How about these pun-kins? Credit: StudioDIY - Super easy DIY here. 3. The grooves in pumpkins makes for perfect drip marks. Use red paint or even fake blood. Credit: Almost Makes Perfect - DIY here. 4. Ah, munchkin pumpkins! How cuuuuute? You can purchase these little beauties from Lidl or your local pumpkin farm. Credit: TheProperBlog - Download pumpkin tattoo's here. 5. Or, you could buy many and make an ombré table feature. Credit: LeFruFru - DIY here. 6. You could even make your own art feature by painting two these squashies in two different colours and placing a brown cone on-top to make ice cream. This could even pair as a school project (We're looking at you, art teachers!). 7. Dip them in nail polish and water for a simple dip-dye effect. Credit: ColourMadeHappy - DIY here. 8. 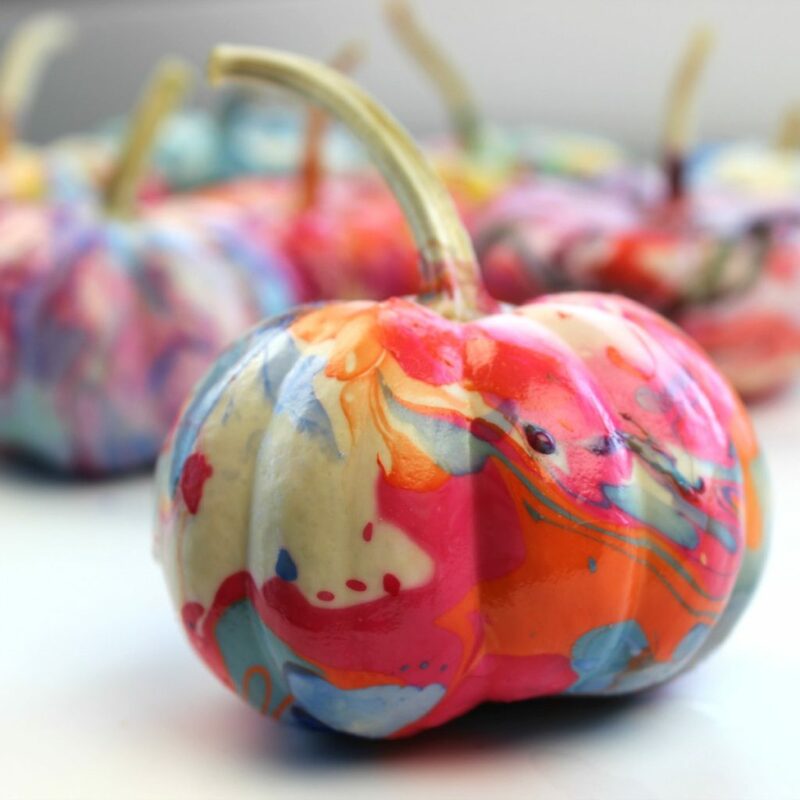 These painted pumpkins look good enough to eat! Credit: DIY Studio - DIY here. 9. 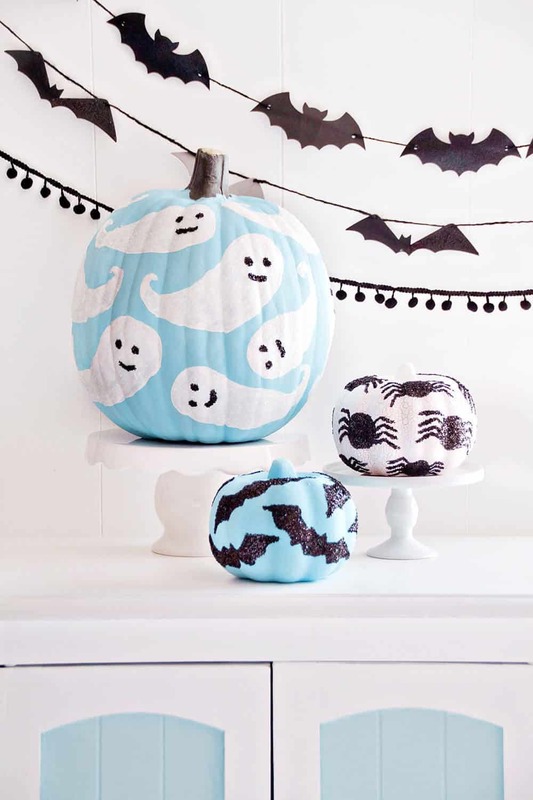 Use a hard bristle brush to stroke rough lines onto craft pumpkins to get this effect. 10. Using glitter paint can add an extra element of much needed glam.